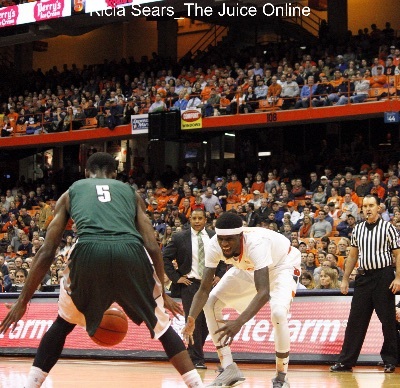 SU announced the resignation of Daryl Gross as AD Wednesday, he’ll stay with the school. 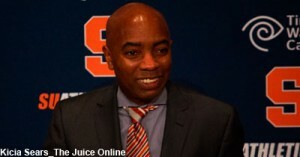 SU announced the resignation of Daryl Gross as AD Wednesday, replaced by longtime Carrier Dome director Pete Sala. As had long been speculated, Syracuse University announced Wednesday that Daryl Gross has resigned as athletic director after just over a decade in the position, and will be reassigned to working as a VP and special assistant to Chancellor Kent Syverud, and as an adjunct professor in the university’s Falk College of Sport and Human Dynamics. 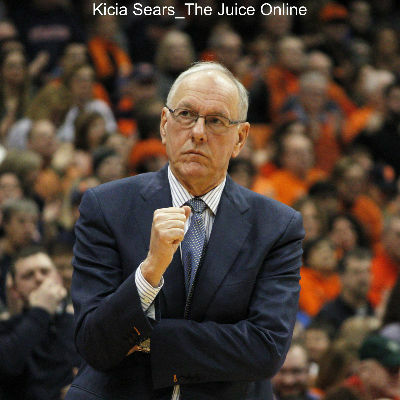 Gross will be replaced on an interim basis by longtime university employee and current senior associate AD Pete Sala, who’s run the Carrier Dome’s operations as managing director since 2010 when he succeeded Pat Campbell. Sala first started at SU in 1982, and worked his way up to be in charge of all athletic department facilities, including the new indoor football building. Gross’s announced resignation comes less than two weeks after the NCAA’s long awaited findings of its investigation into the university resulted in in harsh penalties against the school and basketball coach Jim Boeheim, including vacating 108 of Boeheim’s 966 career victories, assessing financial penalties to the university estimated to be over $1 million, and casting a harsh light on Gross for his conduct in handling the academic reinstatement of basketball player Fab Melo during the 2011-12 season. The change in running the athletic department comes the same day the university announced that Boeheim will coach the program three more seasons, through 2017-18, before retiring and likely handing the reigns off to Mike Hopkins (it would be a next logical step to make Hop’s promotion official to end any speculation on the recruiting front, perhaps it could be cleared up at Coach Boeheim’s scheduled Thursday morning press conference – 10:00 a.m. ET – at the Dome). Sources told The Juice in late February that behind-the-scenes negotiations were taking place in regards to a change atop athletic department leadership, and that Gross would not be in the position by the time the school hosted the NCAA East Regional on March 27 and 29, and that indeed turned out to the be the case. Gross succeed Jake Crouthamel in December 2004, and oversaw a major transformation of Syracuse athletics from being a charter member of the Big East, to the inevitable move into the ACC Conference and the “Power 5 Conference” era of football dominance, and was instrumental in developing the term “New York’s College Team” for Orange athletics. The success rate of many of the school’s other men’s and women’s sports also skyrocketed during Gross’s tenure, as he targeted and brought in emerging head coaching talent. With the formation of a search committee of which Sala is one of the members, the speculation now begins on what type of candidate will emerge as the successor that meshes with Chancellor Syverud’s (and to some extent the Board of Trustees) vision of where athletics fits into the overall university master plan, especially in light of the recent NCAA action, and the future of the Carrier Dome, which could potentially put Sala, a Syracuse native and well liked by many university constituencies, and not a more tireless worker you will find, in a favorable position to be considered for the permanent job.